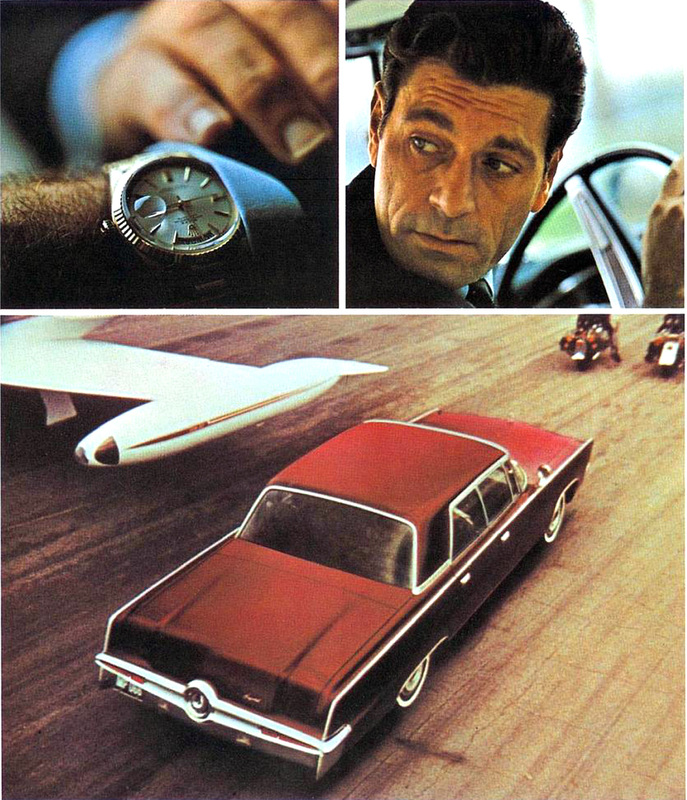 You don't often see Rolex watches used in other brands advertising, but in this 1966 Chrysler Imperial brochure, we see a yellow gold Rolex Day-Date featured. Paul, who is a reader of Jake's Rolex World found this image and sent it in. Paul is a fan of vintage Chrysler automobiles and he found this image in this cool 1966 Imperial Brochure. 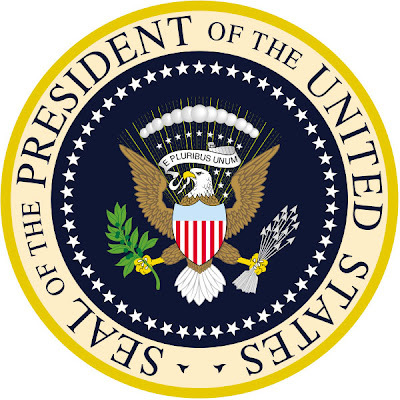 It is fascinating to see how in 1966, the Rolex "President" (Yellow Gold Day-Date) was positioned as The International Mark Of Success. 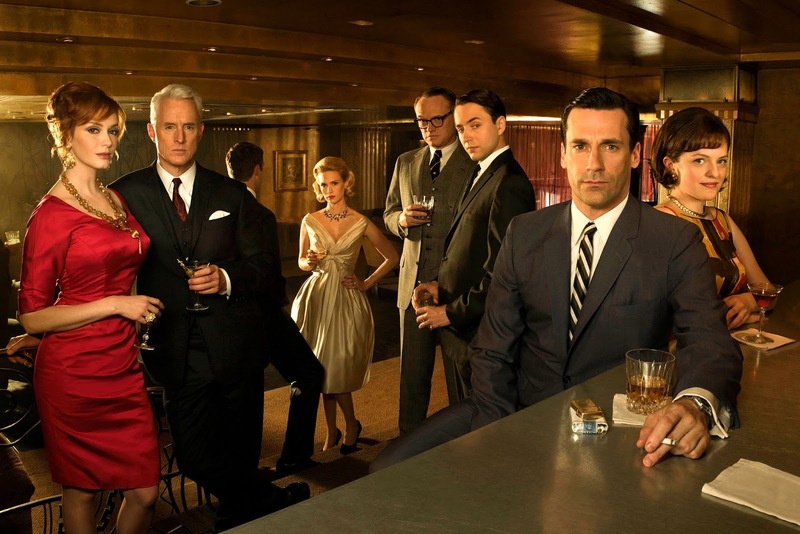 This vintage 1966 ad, which features a Rolex Day-Date is totally Mad Men! 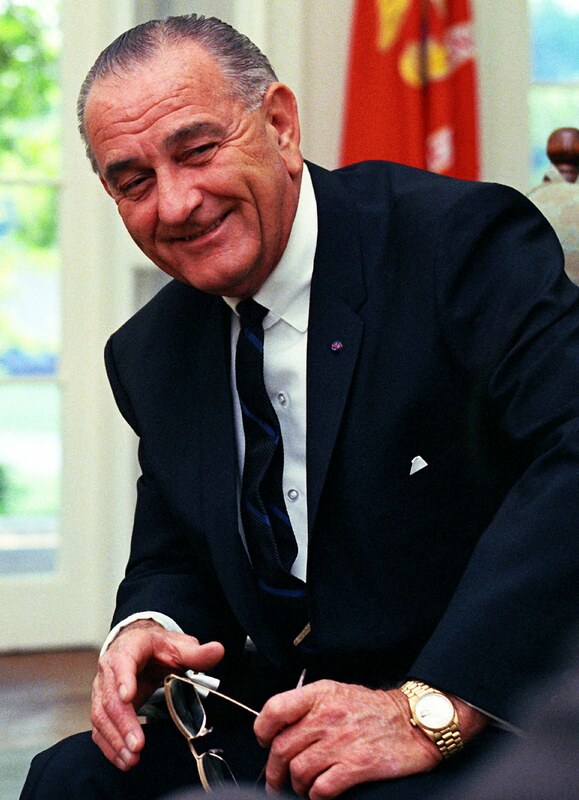 At the time the above 1966 ad was published, U.S. President Lyndon Johnson was in the White House Oval Office wearing his Rolex Day-Date as seen below. 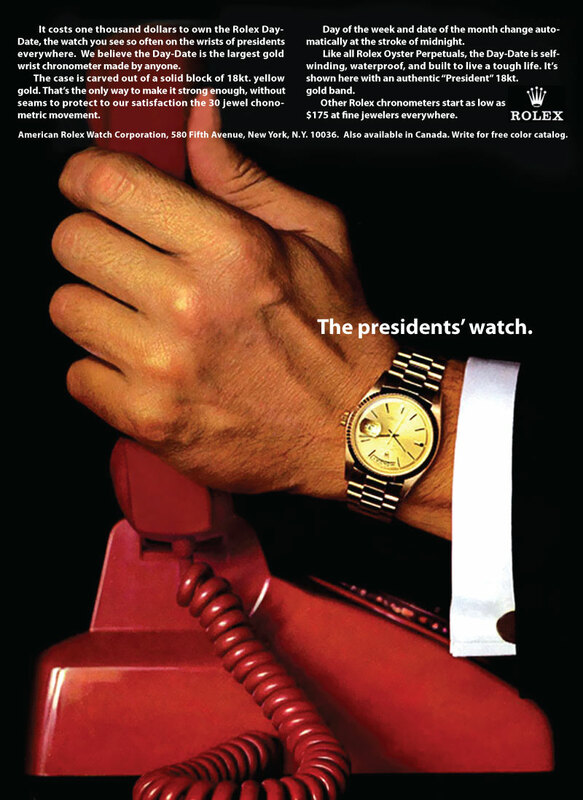 Just for frame of reference, I am including the 1966 Rolex ad below, that refers to the Rolex Day-Date as "the president's watch." 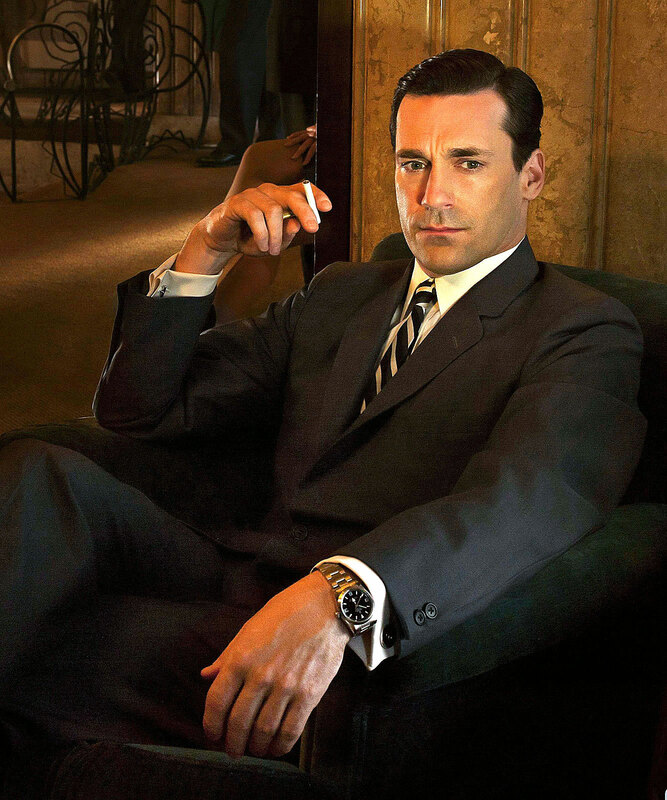 Speaking of Mad Men, what is cooler than Jon Hamm in Mad Men, playing Donald Draper wearing his Rolex Explorer as seen in the images below!! !